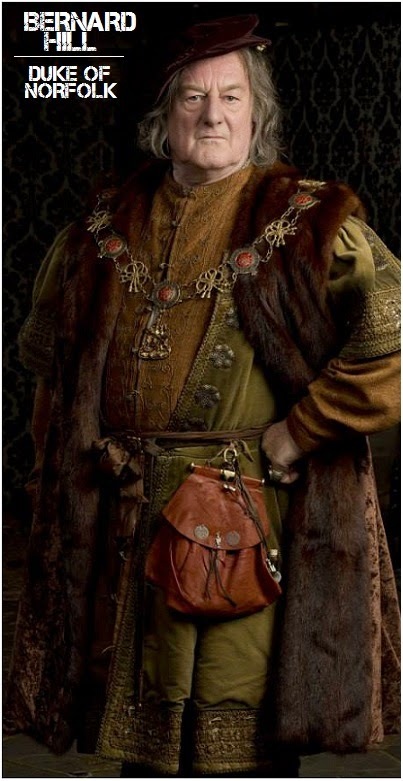 HOLLYWOOD SPY: LAVISH CHARACTER PHOTOS AND SPOTLIGHT ON BBC NEW HISTORICAL SERIES 'WOLF HALL' WITH DAMIAN LEWIS AS KING HENRY VIII! 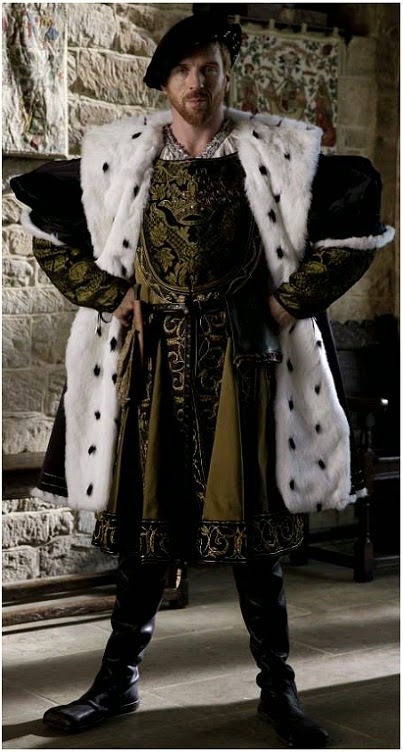 LAVISH CHARACTER PHOTOS AND SPOTLIGHT ON BBC NEW HISTORICAL SERIES 'WOLF HALL' WITH DAMIAN LEWIS AS KING HENRY VIII! Although their last year's historical series WHITE QUEEN didn't meet with much success due to being poorly and chaotically written and badly acted at some points, BBC is again bravely venturing into the medieval waters with the launch of new Tudor era series WOLF HALL which will open the doors of the Tudor royal court in January in United Kingdom and later on in April at PBS in the United States! Today you can check out luxurious first images from the upcoming six part series presenting the main characters and their lavish costumes! To be broadcast at BBC Two next month the series is actually a small screen adaptation of Hilary Mantel's highly popular bestselling historical novels WOLF HALL and BRING UP THE BODIES with Damian Lewis leading the cast as English king Henry VIII whom we've last seen portrayed by Jonathan Rhys Meyers in THE TUDORS. But unlike that show, WOLF HALL is going to stick more closely to the real history with the aim to be more realistic in portraying the English court of the 16th century (the airing of the series actually coincides with the 500th anniversary of Hampton Court Palace! 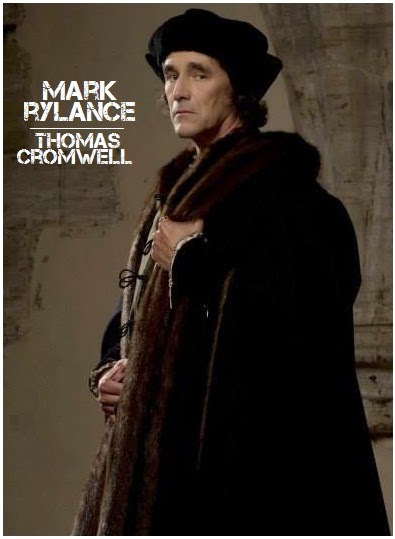 The series will dominantly focus on Thomas Cromwell, the 16th-century Godfather like figure at the heart of all the machinations at the court of Henry VIII. Mark Rylance plays king’s chief minister, brutal fixer and disposer of royal wives, the man who was at home in courtroom or waterfront, bishop’s palace or inn yard. He could draft a contract, train a falcon, draw a map, stop a street fight, furnish a house and fix a jury! He spoke French and Italian, and because of his humble origins as son of a blacksmith, his class consciousness made him an astute observer and reader of men and women. Cromwell was instrumental in securing the annulment of Henry’s marriage to his first wife, Catherine of Aragon, his union with the scheming Anne Boleyn, her execution and Henry’s subsequent marriage to Jane Seymour. In the series which will have over 100 characters, Saskia Reeves will appear as Cromwell's sister-in-law Johane. 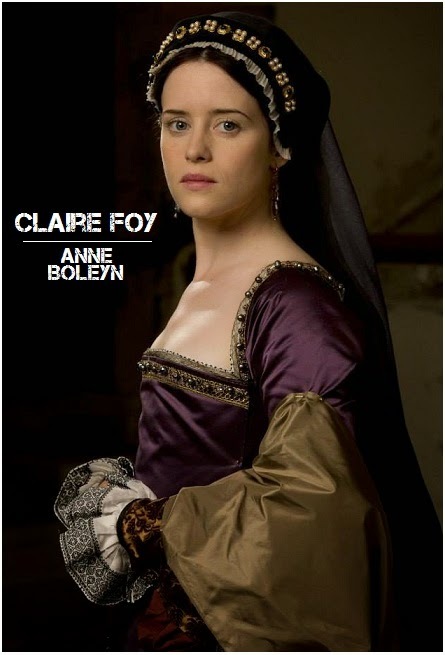 Charity Wakefield (Sense and Sensibility) will play Mary Boleyn, the royal mistress and sister to Henry VIII's second wife Anne, who will be played by Claire Foy (who is also the top candidate to portray the current queen Elizabeth in Netflix's new series THE QUEEN). 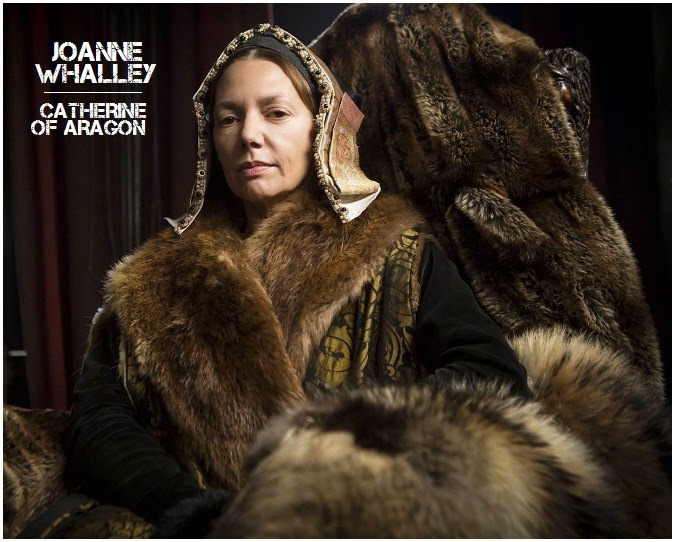 Joanne Whalley will be Henry VIII's first wife, Catherine of Aragon, beloved by the nation. 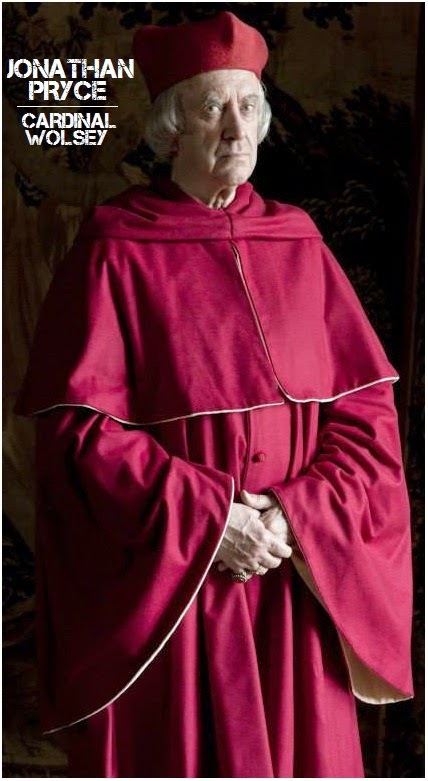 Legendary Jonathan Pryce will play the powerful and scheming Cardinal Wolsey. Mark Gatiss will be Henry's top civil servant Stephen Gardiner while GAME OF THRONES' Anton Lesser will play Thomas More. Another GAME OF THRONES star, Thomas Brodie Sangster, will play Cromwell's ward Rafe. 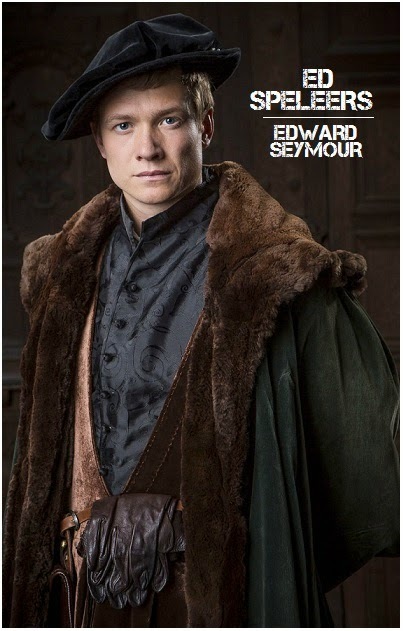 ERAGON and DOWNTON ABBEY star Ed Speleers will be Edward Seymour, brother to Henry VIII's third wife, Jane! Jack Lowden will play famous poet Thomas Wyatt. Among the interesting facts from the production of WOLF HALL, one of the most intriguing ones is that the series used new camera technology which allowed for the scenes to be shot under candlelight in Tudor halls and country homes which results in bigger authenticity. Among the funny facts is the one about codpieces: they were made much smaller so that they wouldn't baffle the American audience once it starts airing in USA. Hmmm? looks good, There was nothing wrong with the White Queen, it was a great bit of TV. Wow, a great set of characters...and costumes! The Spawn Torrents a lot, but she seems to get lots of viruses in her computer as a result. dahlink, you must tell her to install AVAST, it is free, you should install it too, just download the free version from AVAST site. you can cross other parts too? he is always so great! I enjoy historical series..and this one seems real juicy!!! The costumes look awesome and that plot is dripping. Love it! should be fun to watch this winter! When he was young he was said to cut quite a fine figure. But it did go to fat. That leg wound really messed him up. Wow, looks like no expense was spared for those costumes! Great costumes! They'll likely win some awards for those. I definitely like my codpieces smaller(smile). And if you were a fly on a Tudor wall, you'd return and tell us all about it, please. The costumes are fantastic. However, I wonder if they got overly hot and heavy having to wear them around the set all day!? More on the Tudors. What a fascinating lot of plotters and schemers they were. 'Twas a dangerous thing to be a favourite at that court. 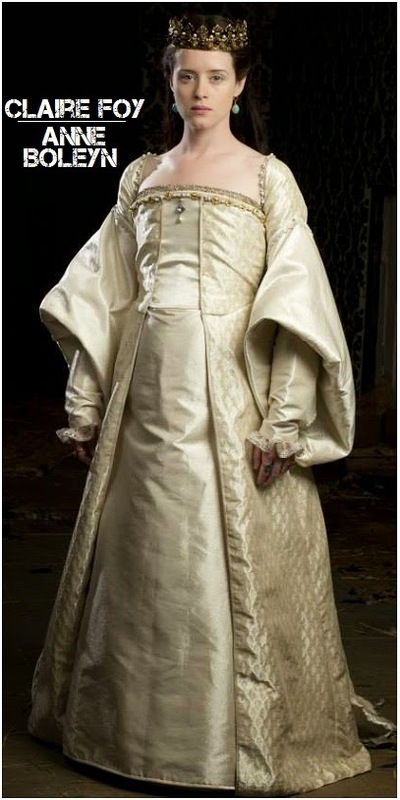 I really enjoyed the Tudors. Looking forward to this one too. I had to go to IMDB to read about Damian Lewis.....I wasn't sure if Homeland was finished as we have been watching it on Netflix and are a little behind. Thanks for the heads up on this show! Thanks for following the spy!